The cards in this kit can be used for any occasions based on the sentiment you choose. 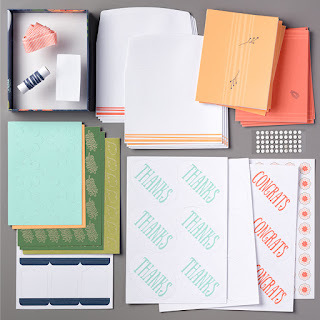 It also includes beautiful gist box and tag for the cards - what will make great gift! Refills are available for purchase - just $8. 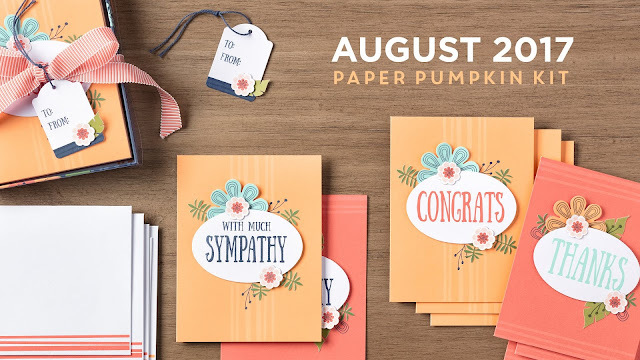 Here is a video from Stampin Up. 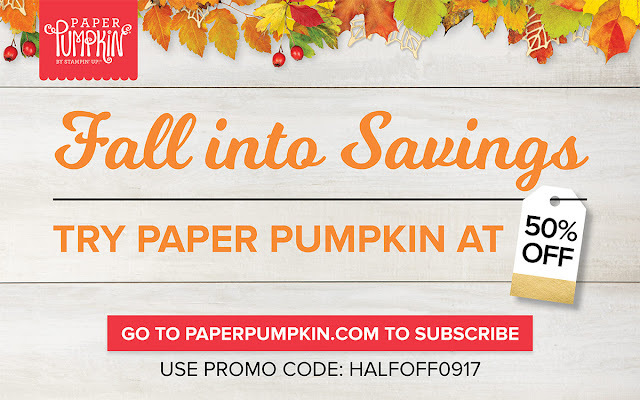 I have a very special offer for you - if you never tried Paper Pumpkin, you can get 50% off of your September kit. Click Here to subscribe, and enter promo code HALFOFF0917. This offer will expire September 10th. So do not wait. Wonderful display of such elegant and beautiful cards. There is a wide variety of them to look at and choose from. The post also has a brilliant appearance.